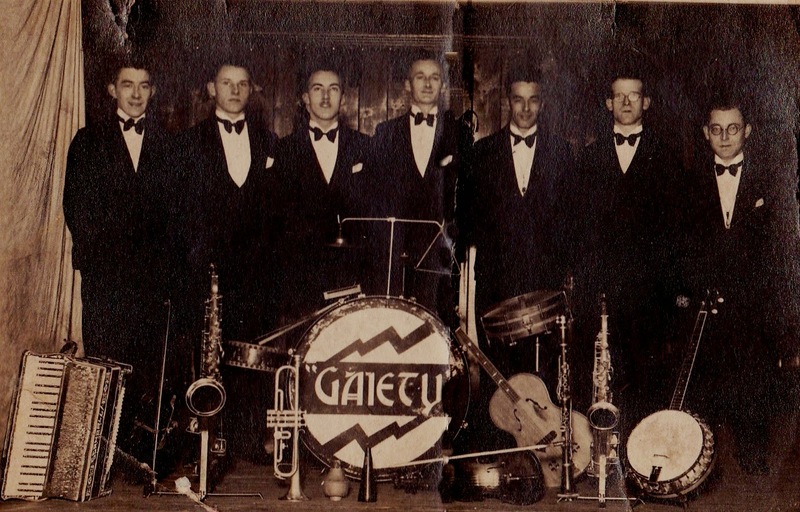 This is the photo of the Gaity Band Marjorie DeLuca refers to in her comment on Ossie Riani. (I've 'tarted' the pic up a little!) you can see the original on writer/novelist Marjorie's fascinating blog. Marjorie's father, Bob Horn, is on the photo taken in Houghton le Spring/Durham circa 1930. although I'm not sure which bandsman he is.